Mapping the sector informs organisations on relevant issues facing the sector and enables Irish not-for-profits to make evidence-informed decisions. 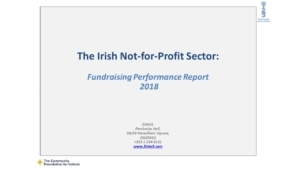 We map trends across the sector through our annual report, The Irish Not-for-Profit Sector: Fundraising Performance Report. 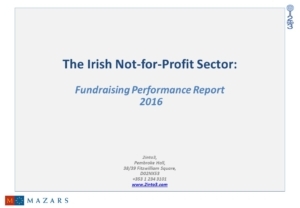 The report uses the annual accounts of over 1,200 Irish organisations to chart philanthropic income trends in Ireland year-on-year. While fundraised income increased in 2016 for the 7th consecutive year, evidence shows a decrease of transparency in the sector, which may be hindering further growth. With our annual report, we seek to promote the sharing of information and data among organisations, to increase transparency and hold the sector to a higher standard. 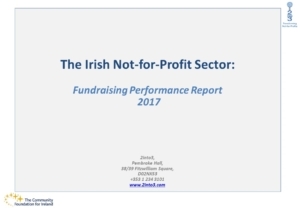 If you would like to discuss 2into3’s Fundraising Performance Report, please contact Niamh Carruthers at +353-1-234-3124.